Lately, Khloe Kardashian has been one of the happiest people we’ve ever seen. 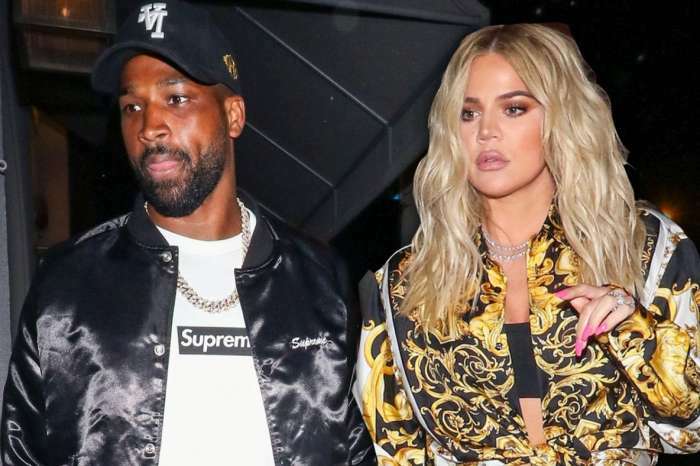 After her not so successful marriage to Lamar Odom, it seems that she managed to find the love of her life, Tristan Thompson and now she’s also allegedly pregnant with his child. On the other hand, there’s a new and entirely sad report that claims that Khloe will not be spending Christmas with her boyfriend this year. She will go home in Los Angeles, and she will spend the holidays there. If you are worried that there is some trouble in paradise, you can relax because there isn’t. After the rumors surfaced saying that these two won’t be spending the winter holidays together, people started to worry about their relationship especially since she’s allegedly pregnant with his child. It seems that the Cleveland Cavaliers are going to be on the road for Christmas, so it’s quite impossible for Tristan to celebrate Christmas together with Khloe. This news was confirmed by Khloe herself on her website. But, to make things right, Khloe and Tristan have decided to celebrate Christmas earlier together. She unveiled on her website that she will be enjoying two Christmas celebrations. We all know that pregnant ladies get tired pretty quickly, and that’s why many of her fans wondered if this was a hint that she is really expecting a child. Khloe is not the only one in the family who is rumored to be pregnant. Kylie Jenner is also reported to be welcoming her first child with Travis Scott around February.